The replacement for the Held Air Hero Gloves has arrived, the Held Air Stream Gloves offer an ideal combination of superior protection and airflow for warm weather comfort. Great warm weather glove that's awesome in the rain! Bought this to replace my BMW Motorrad Airflow 2 gloves that were decent summer gloves, but had very little protection. The Airstream 2 glove moves a lot of air and keeps you cool, has lots of protection and great tactile response and feel; very easy to work the controls. As a bonus, I also found it works well in low 40's rainy weather with a thin silk glove liner. Spent the past week riding in consistent, moderate rain and my hands stayed dry and warm with heated grips. Water just didn't soak into the gloves. Highly recommended . These feel amazing I haven't been able to ride with them yet (-4 in upstate NY) but just wearing them indoors they breathe amazingly well. I put a midway rate for durability as I haven't had a chance to test that yet! The palm to back stitching may be the wealspot as the kangaroo leather seems extremely thin...time will tell if it tears. 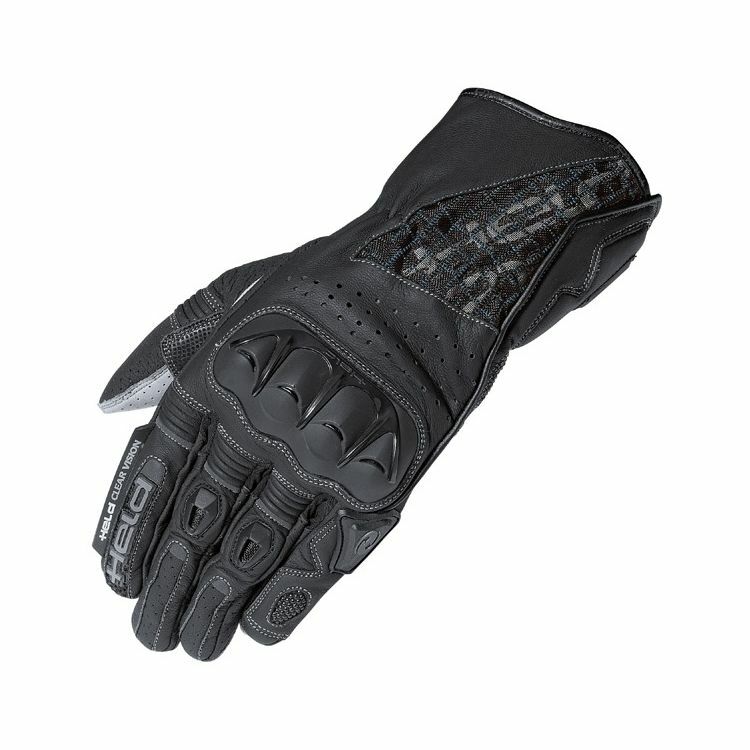 I'll be riding to Mississippi, New Orleans and Texas this summer and I am confident these gloves will perform well...SIZE: I measured by the chart and got like 9 3/8- I went to a ten and there is NO WAY a ten would fit- I need 11...maybe I have fat fingers or I can't read a tape (10 years as carpenter, I hope I can) But these fit small- re: finger length...I've given up on any glove being perfect ...2 fingers are longish and two fit about right and one is almost a bit short...I don't care- I think I love these gloves...I hope the durability is there! Finally, Style, I'd have liked a brown or tan or even black with tan palm...the Grey palm is kinda meh...then again, if I'm RIDING and not walking around with my hands up, no one sees the palm- By the way- Revzilla is great to deal with...and a good research resource...customer service has been consistently flawless! Well, after some 10 years I've decided to get a proper gloves for summer... After reading some controversial review about sizing, I went 10 even my palm is 9, good call! Gloves are snug, but not python dead grip snug, very high quality work, material and great appearance! glove is fine, held warranties not so much. 07/30/18 - revzilla gets back to me very promptly, but lets me know that held deals w/ the warranty issues, including items that come defective. they give me the resources needed to initiate my contact w/ held so i proceed. 07/31/18 - contact held via email w/ photos of the defective area along w/ original purchase order w/ revzilla. 08/01/18 - i get contacted by held asking for a better photo (thought the first photo was enough to get the idea). mentioned the seam was bursting and it was received like this upon opening the packaging. i resend more photos along w/ anything else they needed. no response that they'll be looking further into it.... etc etc. 08/02/18 - send a friendly follow up email. no response. 08/03/18 - send another follow up response. no response. it's now 08/05/18 and not a peep from held yet. quite frustrating that i spent this amount of money to get a defective product w/ little to no transparency. dear held, you need to do better. you have a great glove with not so great customer service/transparency. We’ve been traveling in some 80°+ days and they are working well. They don’t seem to,hold sweat and the palms pass moisture through very well. I reviewed the fit on several websites. I've had a pair of the Held Air and Dry for 3 seasons. They're an XLL or 101/2, and they've always fit tight. But, I drank the cool aid. My hand measures a solid 9" circumference, so I bought a L or size 9. I know they're supposed to fit tight out of the box, but this is ridiculous. I have to really tug just to get them on. The problem with this "breaking in" thing, is once you wear them, nobody wants them back. So, you have to take the risk, a $175 risk. I tried to return for a 10, but it seems every store in North America is out and won't resupply until the end of July. Hard to buy online. You really need to fit these in a store. I'm not buying the true to size thing. This makes my third Held glove I've owned. The original Steve is still going strong and my Sambia is coming apart due to poor stiching. So for summer use I bought the Held Airstream latest version to replace the Sambia. The previous Held gloves were size 9. I carefully measured and ordered size 9. The gloves were really tight around my thumb requiring me to tug forcibly to pull both gloves on all the way. Curling my thumb and fingers together indicated their wasn't enough sizing in the palm of the glove. I was subjected to very heavy thunderstorms for about 1/2 hour followed by three hours of dry riding without removing the gloves. The rain soaking/air drying allowed the gloves to stretch/mold to my hands for want of a better description. Now the gloves slip on and fit perfectly. If I had it to do over again, I would have selected size 9 1/2. The fingers might have been a little longer but I don't think that would be an issue. I ride a 2016 GSA with oem handguards. My hands feel the air breeze but exceptional. The glove has a kevlar lining under the glove's exterior wrist lining. These gloves look they would be very nice, great styling and would provide good protection, too bad I have to return them immediately since THEY DON'T FIT !!! My hand measured 9.25" so I went up to a size 10. Way to snug for a comfortable fit, even if one expects this glove to stretch. So back they go and I am out 8 dollars for return postage plus I now have to wait for the size 11's to shows up. Boy, the gloves did look nice though ! best glove I've ever owned, for 70+ degree weather. I'll buy again and again, as there really is no other glove on the market that offers the level of protection and breathability as do these. The ONLY gripe I have, is I wish they flowed MORe air - and I'm not even sure that's possible. Ok, that and more color options - but these are fantastic gloves for the money. Fit is typical Euro, and runs true to Helds Sizing chart, hence why I rated them slightly small. Just finished up a summer with these gloves and couldn't be happier. They broke in quick, fit great, seem to be holding up well, and most importantly of all, are very comfortable in the heat. Had a few 100+ degree days up here in the Pacific Northwest, and I rode in most of them. I was extremely hot, but my hands were never sweaty or uncomfortable. I wouldn't change a thing about these gloves. YMMV, but the size chart had me pegged between a size 8-9. I was very skeptical because i have pretty large hands and almost always wear the largest or second largest size in gloves. I returned the 9's because they were comically small, ended up with a size 11. It was still a tiny bit snug, but after break in I feel really happy with them. Because of the video break down of the glove and the user reviews. I have HELD winter gloves and the comfort and style is excellent. Looking forward to these for long summer trips. I read good review about them, I wanted more protection on my hands than the gloves I currently have. First time I have tried the Held Brand. Spent a long time looking at gloves as a first-time rider. Picked these based on Held's reputation, reviews etc. Previously owned two pairs that I have worn to death!! Great ventilation for hot weather plus good protection. Recommended by fellow rider with far more experience than me. The excellent reviews, both from users and from the professionals. Because my hands are worth it. Protection, venting and shorter in the fingers than Revit. replacement for the Held Air Hero bought in 2012. Reputation and reviews. Turned out to be perfect, excellent craftsmanship, flows a ton of air. If you are between sizes, defiantly go with the smaller size. Needed a summer glove, and so far, this has been a perfect choice. I am biased toward Held gloves, so I am not the person to offer competitive comparisons, but Held has served me very well for well over 15 years. Held gloves are awesome, and these breath really well. Top quality you want to wear every day. Great protection and good ventilation. Fit is a bit off as some finger fabric is too long & folds over and gets in the way. Not nearly as nice as my previous Held Airstreams; those were great but lost them after leaving them on my trailer heading home. held gloves are, well, the best. I appreciate the overall protection but the scaphoid is inadequate. Held sizing is not to chart at all. If the chart says you need a large you probably need an XL or XXL. Chart says I wear a 9 but I have ordered 10, 11 and they are too small now I am waiting for a size 12. Past experience with Held Gloves. Anthony seemed to suggest that this ewers the best bang-for-the-buck multi-season glove and the reviewers seemed to agree. needed new summer glove. held gloves are awesome. I had heard a lot of good things about Held gloves. Protection and reputation..... and the darn visor wipe! That is surprisingly hard to find and a deal-breaker for me; out at night in the rain is my most threatening situation today. Need to replace summer gloves and want gauntlet and more protection. Judging from the vide, description, and reviews this seems to be a good bet. Great air flow for summer riding in a glove with great hand protection. One of two brands (the other being REV IT) that are known to have long fingers. For summer use in the Fresno CA area. Found on the 2017 Gear Guide. Searched around for something better in the price point and didn't quite find anything. Bought for a replacement summer glove now that my current one is ready for retirement. I loved the video review by Anthony and they look like they'll do exactly what I want: flow lots of air during the very hot summer months without sacrificing protection for my money makers. Had Held Airstream gloves previously and after five years I needed to replace them. They were some of the best fitting glove I have ever worn and was not disappointed with the Airstream II. Possibly my favorite gloves of all time. Lots of air flow for hot Florida days and I LOVE the wiper on the index finger to wipe my helmet screen. Haven't had to use it, yet. But will be happy that it's there when I need it. I used the Airstream I gloves for years for summer riding and only replaced them when they wore out. This II version is perfect offering the upgrade of hard wrist protection similar to what higher end sport/race gloves provide. This is a summer riding glove that provides a high level of tactile feel with the kangaroo leather, really great air flow and high level of protection, A+. Break in was non existent and sizing feels spot on with previous Held gloves, size 10, perfect XL fit. Wow this is a great highly ventilated medium protection glove. My go to in the summer. Sweat free! Previously owned the original Airstream gloves, which lasted nearly 6 years and probably 50,000 miles of hot summer riding, rain or shine with no treatment or care. The longer gauntlet can be an issue for leather suits with big elbow protectors. Nice protection but still a lot of venting for those with very sweating hands like myself. Must keep them clean if you want them to last, salts and minerals in sweat will break down the leather over time. Purchased due to gear guide suggestion. Glad I did! These are great and keep my hands cool and well protected even when it's 48Â°C. Great. Have had Held gloves before and they are the BOMB! Buddy of mine let me try his on. They were the best fitting gloves I've ever experienced. We were both previous users of Held short race gloves with their quirky fit issues like the sore-inducing bumps on the inside of the thumb. What are the improvement on the Held Airstream II gloves over the Held Airstream? BEST ANSWER: The gauntlet is slightly longer and reshaped, and there is now hard protection for the ulna instead of Superfabric. A couple new hard finger vents, a hard pinky protector, perforated palm leather, and a change in the position of the back-of-hand ventilation panel. Slight differences in some of the leather shapes, positions and sewing, nothing major. I've already purchased this product and Anthony says in his review video that the gloves are not waterproof. I'm not too familiar with leather. My gloves have seen the rain a few times and I'm not sure what sort of damage water will have on them. Are there any maintenance routines I should have with my gloves with or without rain? BEST ANSWER: The best thing to do would be to let them dry themselves out. Meaning without putting them in heat from the sun or any other means, it'll over dry them and they'll start to crack. If you can afford it I'd buy the waterproof Held gloves and if not there is a spray that helps make them repel water but it has to be applied more than once especially if you're in the rain more than a couple of times a month or so. Is the Held Airstream II gauntlet cuff meant to fit under or over the jacket sleeve? Will it fit under the sleeve? BEST ANSWER: It's meant to fit over the sleeve. That being said, the cuff isn't that big, so if you had an adjustable sleeve it would probably go over the cuff without much effort.. I've been down in these gloves a couple times and they held up very well. Best airflow in a full cuff glove too. Highly recommend. It fits under and over the sleeves on my Revit Sand II and Tornado jackets and is comfortable both ways. I guess it depends on the opening of the sleeve size. I really like the fit. Hi Tom, I really appreciate your reply. Most of the time I wear it under my Olympia motorcycle jacket cuff. Rarely have I ever had it over the my jacket sleeve. Hope that helps. Since the Held Airstream II gloves are well ventilated, are they too ventilated for spring and fall riding when the weather is cool? BEST ANSWER: I live in the desert southwest and I wear my Helds in Summer, Fall, Spring and part of Winter. I ride a fully faired touring bike so my hands are not out in the wind. However, the only time it gets too cold is in the morning in the winter. That is when I break out the heated gloves. In the southwest these are easily 3 season gloves. I felt that they were a little too well ventilated when it starts getting cooler. They're great for summer (I'm in VA). I added the Held Rainstars with Goretex lining for spring, fall and summer rain. The two are a good combination. I've ridden in 5 degree C (41 deg F) weather with these gloves. At 5 degrees, my hands were cold. Not painful cold, but uncomfortable. That same day it warmed up to about 12 deg C (54 deg F) and my hands were fine. Hope this helps. I have Barkbuster Storm guards which helps, but on cooler days I have used silk liner inserts (AeroStich) successfully. The combination really seems to extend the use of these gloves, and puts off moving to a cold weather glove. Randy, that depends on the climate where you live. For reference, I live in Washington DC and I wouldn't wear them in Fall/Spring during the cooler months. In my experience, in cold weather my hands get very cold. My bike has lots of airflow around the hands though. Can you use touch screen items (GPS, phones ect) easily with this glove? BEST ANSWER: Hi there, I have good news and bad news. These gloves do not work on my iPhone. However, they are fine with my Garmin Zumo. Actually, my gps works with pretty much any glove. No, the gloves don't work with my iPhone. I haven't tried any other phones. My Garmin GPS works fine, but its a different kind of touch screen, I believe its pressure sensitive as opposed to the electro-static types in most phones. Yes you can but at best it's 50/50 so if that's a major criteria for your gloves then skip these and get sone that are touch screen friendl. I don't know. Sometimes it works well and other times I have to repeatedly hold my finger on the screen. May be operator error. I've only had partial success using my phone with these gloves. I normally give up and take them off. I don't know about using the gloves for phones, but I use them with my Zumo 390. Hope this helps. works well with gps and phones as it's not a heavy glove. I measured my hand to an 8.75. This product says to get a snug glove, so should I get the 8, or should I go with the size 9? BEST ANSWER: I have some Held Airstream gloves and they are fantastic. The do fit snug and mold themselves to your hand over time. That said I would do the 9. You want snug not tight. I have had mine for over a year and they are the best pair of gloves I have ever had. BTW I live in Phoenix and ride year round to include 115+ temps with these gloves. Hope this helps. Gary, I was just about to ask about temperatures in this. I live in a similar desert environment (just a couple hundred miles as the crow flies) and have been looking for some gauntlets to replace my current gloves. I'll keep your sizing and temp suggestions in mind, +1 for your answer man. I was in the same predicament as you. I'd say if you are more than a half size to size up. I would definitely buy a size 8. It will be snug at first but the amazing top quality leather will eventually fit "like a glove." When I say eventually, give it a few rides. Another great point about this glove...not related to size...is that it breathes so well without sacrificing safety. The air just comes through as if you are not even wearing a glove. Good luck. Unfortunately I can't recall which way I went but I actually bought a pair in each size and then returned the one that didn't fit. Bottom line, buy them! I love these gloves!!! I found the gloves to run a bit large and would rather order down a size for a snug fit and let the leather stretch. My hand also measures 8.75. I have a size 9 and the gloves are comfortable but not snug. How well do the airstream 2 gauntlet cuff pair up with a leather race fit jacket? For instance my Alpinestars GP-R leather jacket. BEST ANSWER: Can't really say for sure as I wear a rev it gt air textile when it's warm enough for the held gloves however, my guess is they would be great. I absolutely love the gloves and can't wait until the weather gets warmer and I can wear them again! It is tight. I wear mine under the jacket, but now I have to be very methodical with order of gearing up. Gloves go on then unzip jacket to go over gloves. Re zip and snap everything together. Getting out is just as interesting to watch. I have Vanson leather jackets. I wish gauntlet part was bigger, but it fits over the jacket sleeves. Hope this helps. How to size gloves fit? BEST ANSWER: Pretty much like other gloves--they run a bit looser than most other Held gloves which I've found to be tight around the fingers. Third pair of held gloves , so I knew my size already , fit perfectly ! Are these gloves ce certified? BEST ANSWER: They carry a CE designation on the back of the size lapel in the gloves.